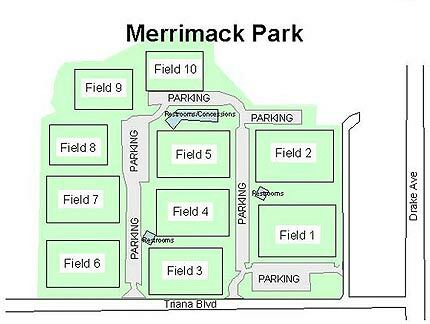 The Merrimack Soccer Complex has 10 soccer fields, 7 lighted for night play, and parking to accommodate 500 vehicles. The Administration Building, located on the east side of the complex, houses the main office, a large meeting room with restrooms, a full service concession area, and a referees' lounge. Picnic Tables are located close to the concession area and at north and south ends of the building.